From: depending of conditions of your offer. 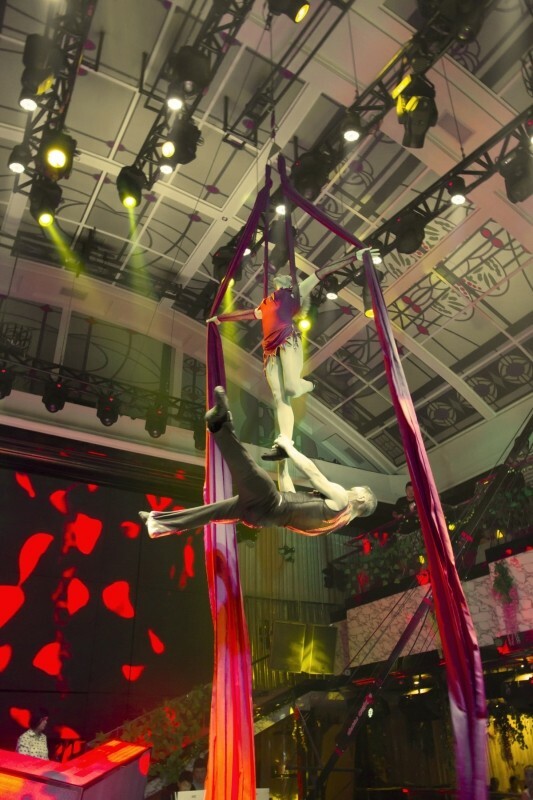 Acrobatic full nonstop show - You and Me ( 35 - 45 minutes ) Skils:aerial straps duo,aerial silks duo,acrobatics adagio,solo male straps,duo hoop,solo female hoop, solo female aerial rope, male cyr wheel. Air duo "Primavera" is made up of professional circus and variety performers artists Inna and Alexandr.The aerial straps and silks are original dynamic acrobatics in aerial duet.Duo "Primavera",have masterfully blended the arts of acrobatics and dance, to produce original work full of character and style. 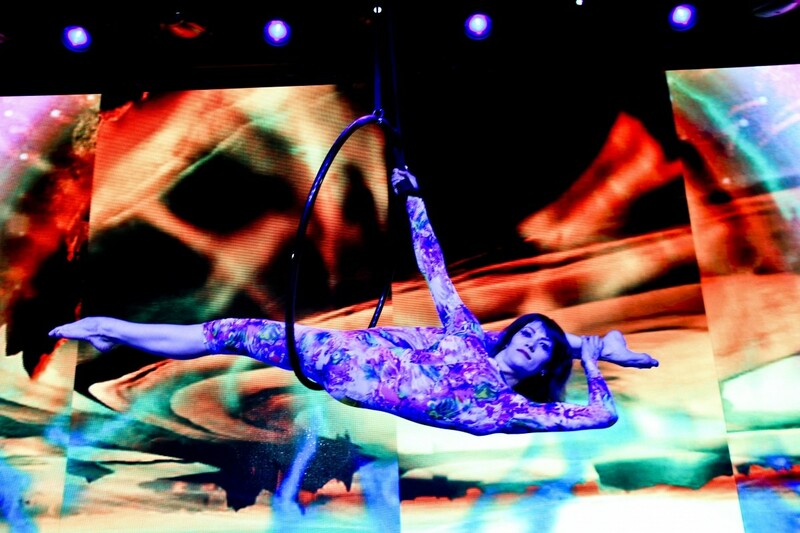 "Primavera"offers an acrobatic adagio and a tango flying on straps and silks.The strong focus on style and character makes this act truly unique,a passionate mix of aerial art and dance. Alexandr come in circus from professional sport ( in 1986 - 1991 USSR and Ukraine gymnastics team ). From 1995 till 1996 partner of group "Gymnasts on horizontal bars with trampoline'. From 1996 till 2006 leader of group 'Gymnasts on horizontal bars with trampoline' and 'Funny acrobats on trampoline' . Winnings award 1997 - 6th International acrobatic festival circus arts in Uqiao (China) “ Bronze Lion”. 1999 - 4th International circus festival in Warshawa (Poland) “Special prize“. 2006 - 6th International Circus Festival Budapest (Hungary) “Special prize“. 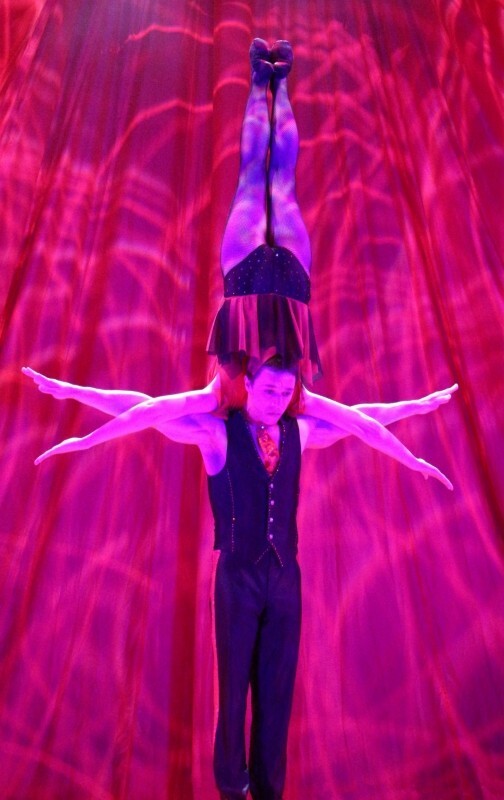 In the ... 2006 was born duet Primavera - Inna and Alexandr Aniskin aerial gymnasts on straps . Duet performed the act in the end of 2006. From this moment , was born many acts ,like : duet on silks ,acrobatics duet, solo straps and acrobatics adagio on the chair. We always open to new ideas and cooperation with you. With the best regards Inna and Alexander Aniskin duo Primavera . 1996-2006 The head of numbers "Gymnasts on horizontal bars and trampolines" and "Comic acrobats on trampolines"
Wedding Reception Entertainment Birthday Party Entertainment Private Parties Corporate Events Cocktail Receptions Christening Entertainment Product Launches Trade Shows Christmas Party Events Bar Mitzvah Bat Mitzvah Gala Dinners Jewish Weddings After Dinner Entertainment Circus Variety Show Cruise line.